The Design Group were engaged by Solutions.Rent to develop a design for their second coworking offices located in the Trzech Krzyży area of Warsaw, Poland. Demand for shared working space in big cities is growing. 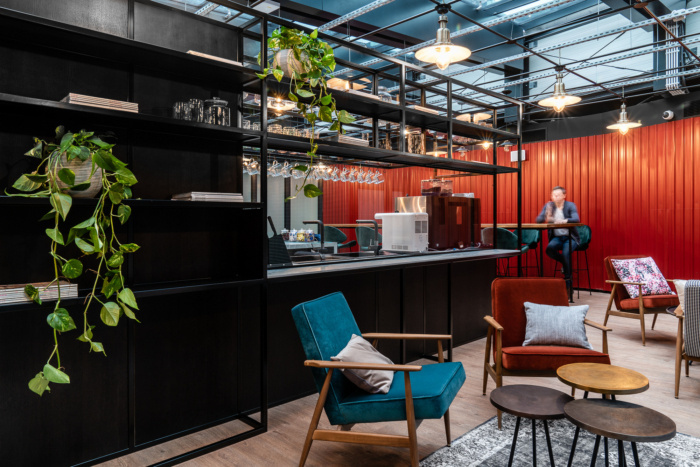 Therefore, Solutions.Rent opened its second coworking space in Warsaw – this time at Plac Trzech Krzyży. The Design Group workshop was again invited to work on the project. The offices that were built in the Ethos building are a unique proposition for modern employees. This Warsaw’s studio worked to the order for Solutions.Rent for the second time . Those who saw the earlier (joint) project of both companies located at Małachowski Square may be surprised. The space created at Plac Trzech Krzyży is completely different than the offices opened in October – style- and organization-wise. Architects from Konrad Krusiewicz’s The Design Group proved that similar orders can be carried out in various ways, and each can offer something unique. Coworking space in the Ethos building is a premium class interior. A different style of coworking space in the Ethos building also results from the client’s wishes. The interior at Plac Małachowskiego was supposed to be more elegant, calm, refined and mature. In turn, the new office space in Ethos is distinguished by dynamics, energy, youth and rock & roll. Coworking space in Ethos is an eclectic space – though with clear inspiration derived from the 1960s and 1970s. 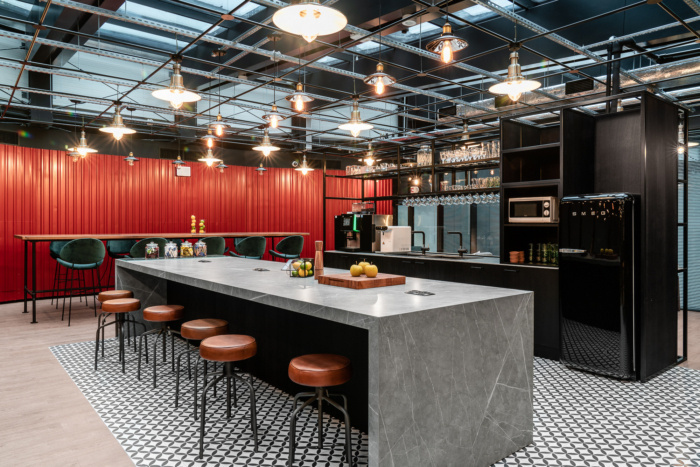 The industrial character of the office is emphasized by used materials (concrete, sheet metal, stone) and visible elements of the installed systems. At the same time, it is a space that encourages people to interact with each other. Those using the offices can even feel like they are in a fashionable bar or club (just without a distracting noise). Individual desks and entire offices are both at their disposal. A total of 505 stations, as well as 12 fully equipped conference rooms, an event space for 200 people and a bar are at users’ disposal. The atmosphere of the office is made by thoughtful accents and unique furniture. Construction, wardrobes, locker rooms or tables are an original designer concepts of The Design Group. There are also unique armchairs or chairs – which are original products from decades ago (even from the 1960s), which have been professionally renewed by the Yestersen team. They bring coziness and warmth, authentic retro elements into the expressive space. Dark tonality dominates in the space – it emphasizes the exclusiveness and high quality of interiors. Painted black and brushed veneer in the communication zone area is characterized by a distinctive drawing of the rings of trees. Red metal sheet on the walls or marble counters in the kitchen area are surprising elements for an office space. Just like handmade tiles with which the floor was laid out on the first floor.